Give your child a bowl of plain low-fat yogurt (I like using fat free Greek yogurt for an extra protein boost) and line the table with fun toppings: banana slices, fresh berries, granola, nuts, etc. It’s more fun when you get to make your own! 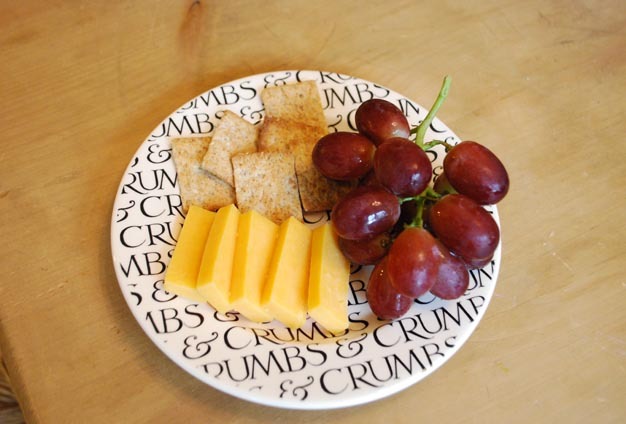 Whole grain crackers, low-fat cheese and fresh fruit. A simple and sophisticated snack for after school. Coat the bottom of a heavy stock pot with 1 T olive oil. 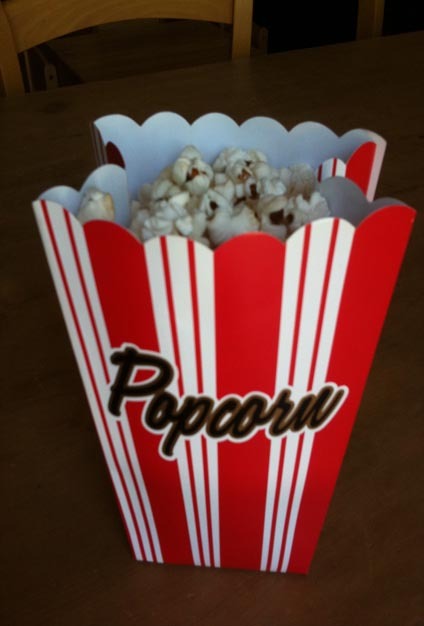 Pour in 1 layer of popcorn kernels. Heat the stove to high and wait for the kernels to pop. Once the popping slows down, remove from heat and sprinkle with sea salt. Delicious, low-fat and high in fiber! Choose a variety of fruit…I love making a rainbow with strawberries, cantaloup, pineapple, kiwi, blueberries and blackberries. Use wooden skewers to make your kabobs then snip off the pointy ends to avoid a snack-time injury!